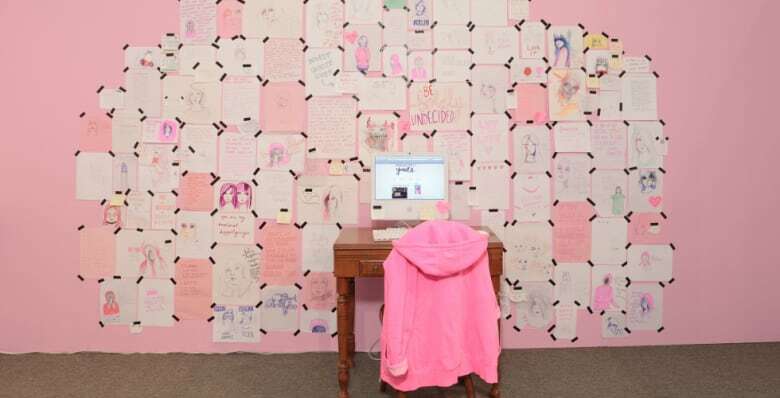 Future Memories, an art show in Montreal, explores how we share our personal lives on social media. What's private and what's public information? If you've ever blocked a Facebook friend for over-sharing, that question might have crossed your mind. And really, you might ask yourself the exact same thing whenever you choose to post — or not post — on social media. A new group exhibition in Montreal is exploring how we share our personal lives online, asking whether there is, in fact, such a thing as TMI. Future Memories, which appears at the city's Articule gallery from November 5 to December 4, features the work of four Canadian artists: Sophia Borowska, Zinnia Naqvi, Zeesy Powers and anonymous Tumblr illustrator Ambivalently Yours. "Even though they're working in really different mediums, they're all challenging the idea of what is private and what is public," says Eunice Bélidor, the programming coordinator at Articule. Future Memories, however, takes a more everyday approach to the idea of online privacy, specifically the way we use technology to document our lives. "I use social media a lot, and there's always this feeling that your information is protected, and you can publish whatever you want," says Bélidor. "But in the end, you're creating a story that someone else is interpreting." The notes people send are deeply personal and typically tackle feminist issues. They might be confessions of self-doubt or abuse, or requests for advice. 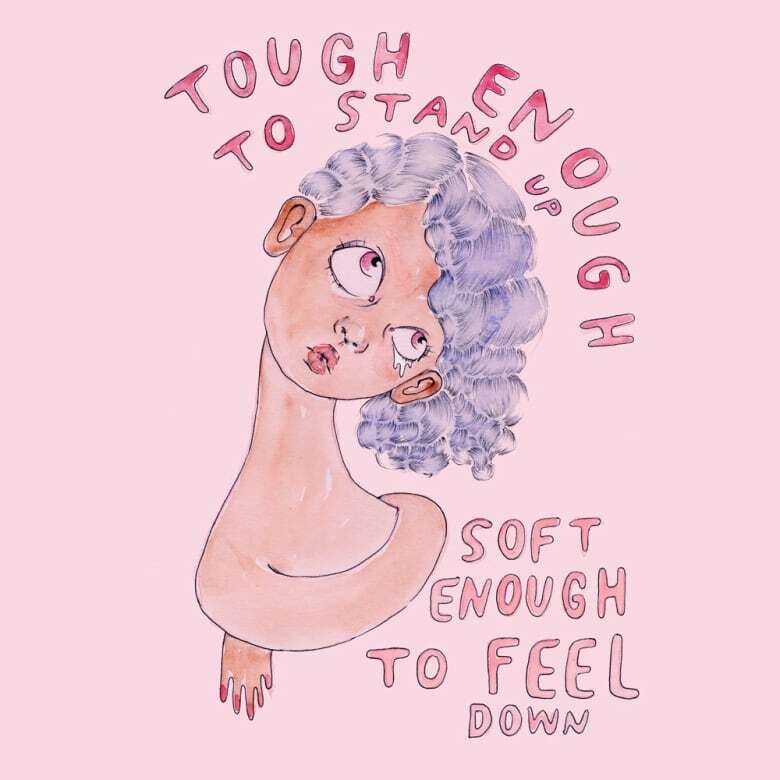 In response, she posts empathetic illustrations. Her Future Memories installation is a rare instance of her work being shown IRL. "She draws upon those comments and questions, so she's trying to create a history," says Bélidor. "And then afterwards these people see how she interpreted that question or that comment and it's a kind of souvenir they can carry from having a conversation with the artist." "She's reforming [their questions] by creating her work, so what part of that conversation was private and what part of that conversation was public?" Old technology informs two of the projects — one of the oldest technologies, really, in the case of Montreal's Sophia Borowska. 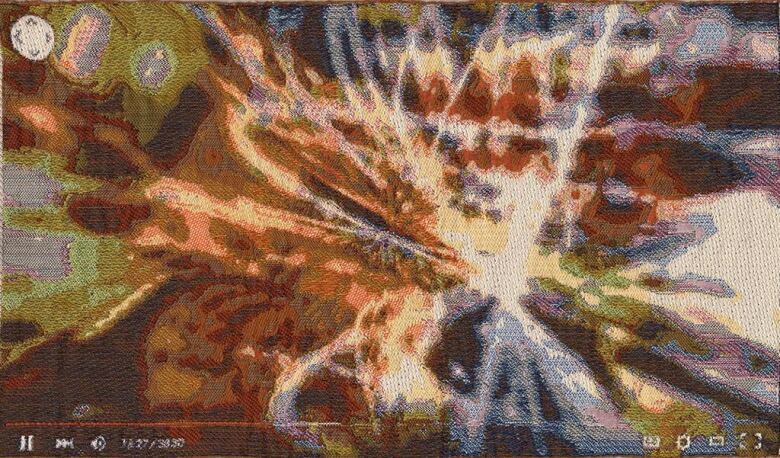 She used a 19th century loom (which works off a binary system, just like a computer) to create her piece, "Data Excess." The project includes tapestries of spam and low-res screenshots — the dumpster slime of the Internet and the kind of empty information that leaves you wondering why we choose to publish what we do online. "This idea of going to the past to go to the future — I think that was something that was really strong in all of these works," says Bélidor. Zinnia Naqvi works with that idea in a much more personal way. "She's looking at her family's past history," says Bélidor, and for her experimental film Seaview, the Toronto artist travelled to her parents' hometown of Karachi, Pakistan to retrace their footsteps and attempt to make their memories her own. But interpreting — and repurposing — other people's memories isn't reserved for art projects. In a way, it's just a basic function of social media. If you look at Zeesy Powers's installation, "The Averaging Mirror," you'll see your reflection — minus your face. 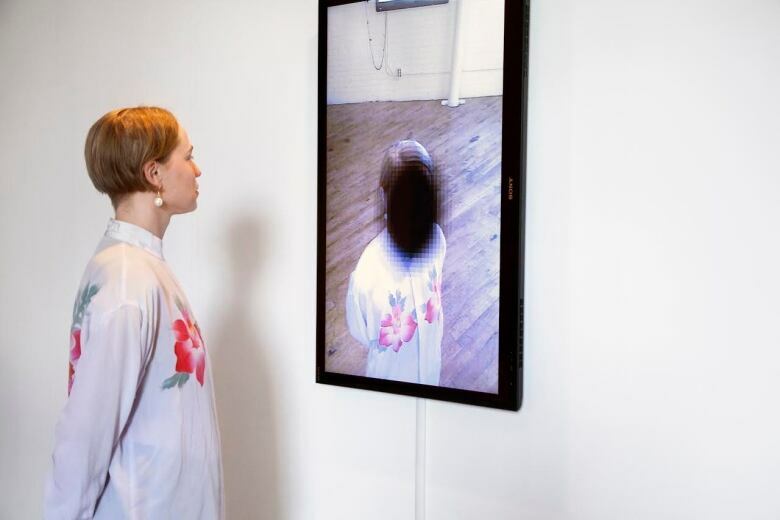 Using now-ubiquitous facial-recognition technology, this mirror scratches out the faces that gaze into it. Think of the result as an "anti-selfie." "If you can't put it on Instagram, does the thing really exist?" asks Bélidor. According to her, that's one of the main questions being posed by the piece. And as Powers notes in her writeup for the project, "The Averaging Mirror" confronts every viewer with a truth about social media — a fact every user knows, or at least acknowledges when they sign off on the terms of agreement. "When the service is free, you are the product," Powers writes – and yet, we make a habit of uploading our private thoughts and images without caring about the consequences. What's private and what's public information? We're all constantly making that call. Says Bélidor: "What you want to show and what side of yourself you want to display, that's an interesting question."